A healthier in-app engagement translates into a healthier conversion. So, the app owners and their respective app creators are always in the pursuit of transforming the engagement experience, and the emergence of chatbots is seen as a breakthrough in this context. Some innovators and scholars even see chatbots as a threat to the app development economy. However, we’ll discuss it in a later post. Let’s take a closer look at chatbots, their expertise and contributions, and understand why have they become all the rage today. Before getting started with, let’s know chatbots better. What are chatbots? Splitting this compound word, we get the base words: Chat and Bots. Luckily, we are acquainted with both of them individually. Bots, as we have seen on Twitter, retweets a posted tweet instantly. So bots are a piece of program that are meant to perform a particular function or role. Chat is ubiquitous and dominant as well: the number of Facebook Messenger, Viber, and WeChat users has surpassed the total number of social media users. 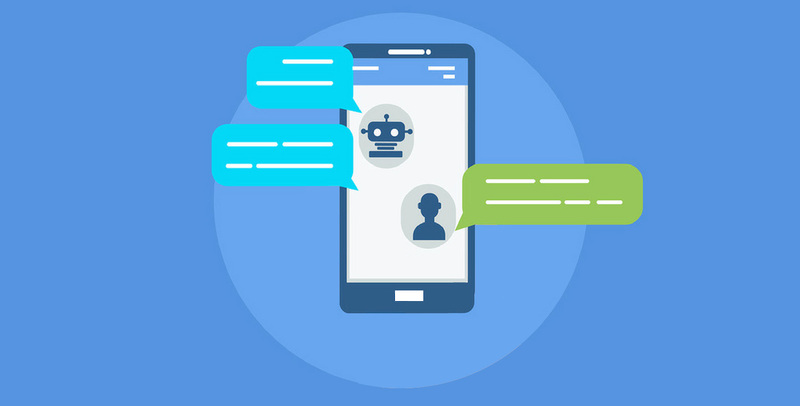 Thus, chatbots are computer programs that blend both the functionalities into one: automating conversation based on the context or roles defined to meet a purpose. AI Powered Chatbots – These chatbots can scan through multiple conversation threads, draw context from them and respond accordingly. Thus, they simulate the human behavior and talk to users as human. Such a chatbot can be deployed to handle complex situations where logical thinking and decision-making is required. Script Based Chatbots – These chatbots have got predefined scripts as followed by marketing or customer service executives. They can respond to simple situations where repeatedly same things are discussed. What is the purpose of an app? Obviously, to drive engagement and achieve conversion and serve consumers. The engagement and conversion are the key metrics of digital commerce on which the success of any sales and marketing endeavor is based. Shockingly, only 3 out of 100 users who opened up an app made an in-app purchase in Q3 2015. The percentage of conversion dipped drastically from tablet (3.30%) to smartphone (1.31%) as observed by eMarketer. So there is a lot of scopes to improve this scenario and, fortunately, chatbots have the potential to bridge the gap between engagement and conversion. Since engagement and conversion are critical to the success of any app, chatbots stay relevant to every sector and business operation, particularly, for eCommerce and, at places where real-time communication with the audience matters. SmartphoneBot: Hi there, what are you looking to buy today? SmartphoneBot: Great, what specifications do you look for? SmartphoneBot: What’s your price range? SmartphoneBot: Sorry, you need to choose a higher price bandwidth. Customer: Ok. I need to reconsider. I will be back soon. SmartphoneBot: Thanks for visiting. Have a nice day. The entire sales journey has to be visualized and coded into a program to help shoppers make a better decision in a quick and easy manner. The conversation can be augmented further by coupling chatbots with voice assistant apps like Siri, Allo, or Cortana. So chatbots can be a game changer, provided they have been conceived, developed and integrated well with the digital platform.